Get cookin' (or gardening) with your own custom aprons. 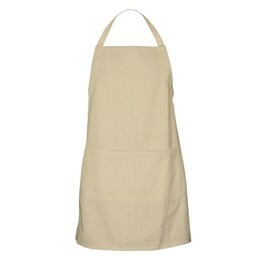 It's easy to add your personal touch to make novelty aprons with photos, messages or whatever. From kitchen aprons with funny sayings to photo aprons with your picture, it's fun to wear and apron that has special meaning. Personalized aprons make perfect hostess gifts, plus they're great for work aprons. With premium material and a great design, they're available in many colors, plus you can buy bulk aprons and save money.